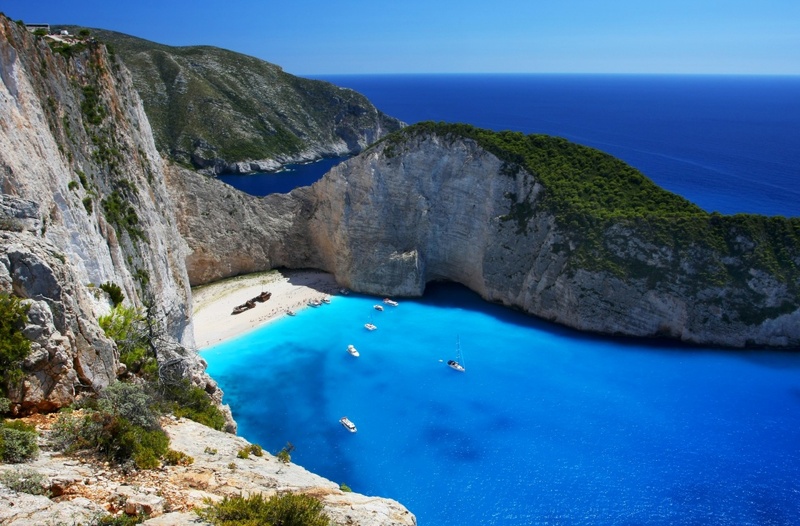 The 'Navagio'(=shipwreck) beach is a sandy beach of exceptional beauty and charm, encompassed from vertical white rocks. The feature of the beach is the skeleton of a commercial vessel which was grounded there in the decade of 1970. A large number of visitors overlap every year by boat from Porto-Vromi to enjoy the blue waters, while those who arrive by road at the top of the vertical cliff have the chance to admire the scenery from a special platform, which is now a symbol of the charm of the island. 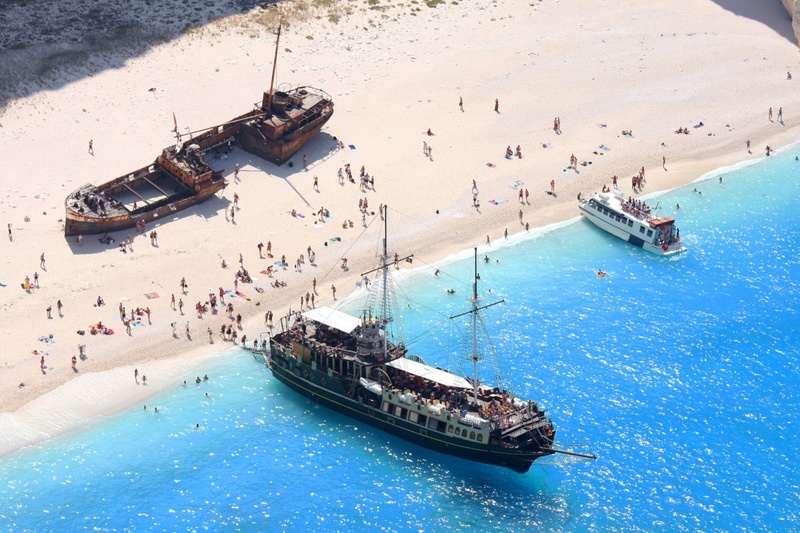 According to reports, the 'shipwreck' took place during the last days of September of 1979 when a smuggling vessel rampling from Zakynthos to Kefalonia for three days, grounded in this secluded beach, so as the movement of the products was been by boat, fact that resulted in the arrest of the crew , giving a unique monument in the region.